Panasonic Corporation is one of the world’s largest electronics manufacturers and their objective was to launch the new Panasonic Eluga S phone. MTV Digital is a leader when it comes to branded content. More than a 100 properties later, there is no genre that we haven’t helped a brand conquer. From travel to fiction and even reality we have helped brands win over their consumers using content. You want branded solutions, we are only a phone call/tweet/instagram away. The Panasonic Eluga S is a dream gadget for every selfie addict. The phone came with facial recognition and eye tracking that clicked Selfies with the blink of an eye. MTV was approached to market the Eluga S to an ever increasing audience of screenagers who loved clicking Selfies. The rage of selfies had already been on for quite some time at that point. So what stance would Panasonic and MTV take on the new Eluga S? 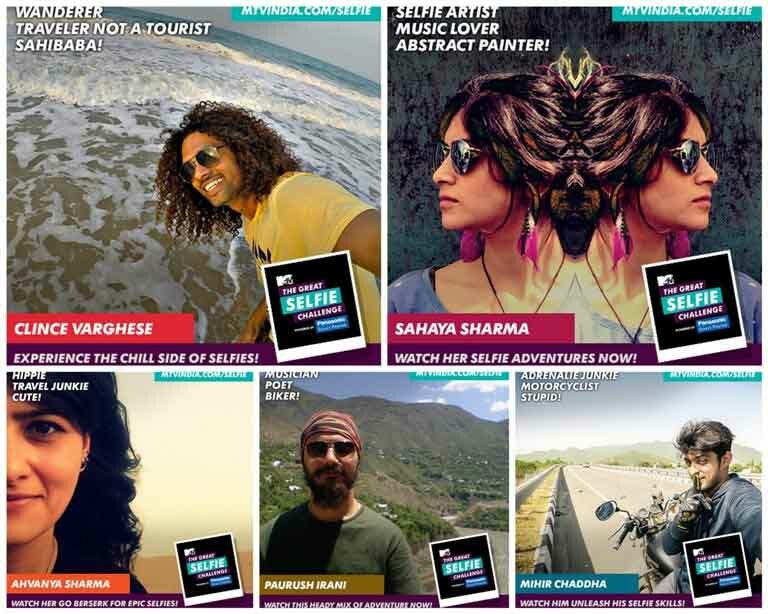 And that is when ‘The Great Selfie Challenge’ came into being – a one of its kind show where 5 players travel around India completing selfie challenges in the quest for the most epic selfie. There was a dedicated website setup calling for entries across India to be a part of The Great Selfie Challenge. We received participation from more than 1250 selfie enthusiasts in 3 weeks, out of which 5 were selected for the epic challenge. To make it even more exciting, all the contestants were given a limited budget of Rs. 1 lakh to complete all 7 selfie challenges in 14 days. From taking a selfie at the international border to surviving a haunted selfie, clicking selfies with a celebrity to clicking a selfie to support their favourite cause, the contestants thrived on the challenges and the thrill of the chase. The journey kicked off from Mumbai and led the contestants across the country on the quest to finish their challenges. The Great Selfie Challenge website was the primary hub where all the epic selfies were uploaded by the contestants and a video accompanying the story behind the selfie was also published in real time. For every challenge, the contestants had to get the maximum votes on their selfies to gain points and maintain their position on the leader board. At the end of the journey, the players got an additional week to promote their challenges and boost their scores. The contestant who bagged the numero uno spot on the leader board at the end of the voting round was declared as the winner of The Great Selfie Challenge and walked home with a jackpot prize of Rs. 100,000. This entire journey was encapsulated into weekly vignettes for every contestant and showcased on-air along with 4 weekly TV episodes which covered their entire journey and the story behind their selfies. The Great Selfie Challenge website received more than 2 million sessions and over 6 million video views. The campaign reached out to more than 8 million unique users across Facebook, Twitter and Instagram. 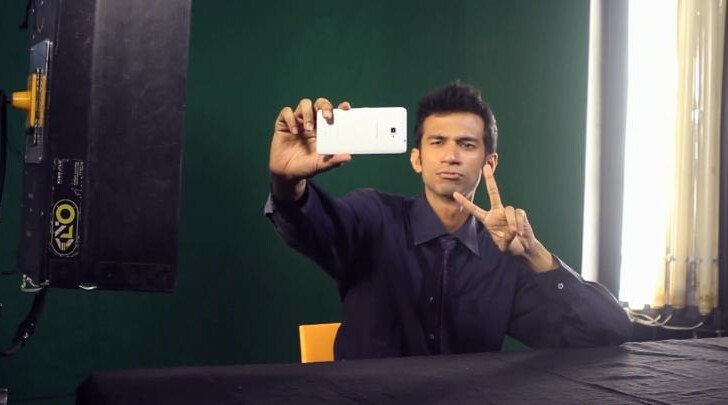 The selfie challenges frequently trended on Twitter and were a rage with @MTVIndia’s followers. For Panasonic, the Eluga S succeeded in establishing itself as the hottest launch of the year for selfie addicts and proved to be the perfect companion for diehard travel enthusiasts across the country.